Do you need mold removed from your Wayne New Jersey home? If you suspect mold growth, or if your home has tested positive for mold, give the experts at Jersey Pro Restoration LLC a call today. In the Wayne mold remediation business for over 6 years, Jersey Pro Restoration LLC is a trusted name in the industry. Your needs will be handled promptly and professionally. Don't expose yourself or your family to mold spores any longer; call the experts at (973) 291-1321 today! How Much Will Removal of Mold in My Wayne Home Cost? It's certainly valid to want to know how much the mold removal process will cost. Give us a call at (973) 291-1321 for a comprehensive estimate and plan of action. Once we assess the extent of the mold in your home in Wayne and your mold exposure, we will determine a course of action to remove it swiftly and completely. Of course, the bigger question is, "What is the cost of mold exposure in terms of health"? If you or a loved one is experiencing symptoms of mold exposure, time is of the essence. Symptoms include difficulty breathing, red, irritated eyes, nose and throat, coughing, sneezing, fatigue, headaches and difficulty concentrating. If you suspect that you're being affected by mold in your home, let us know and we'll put you on a fast track for complete remediation of mold in your Wayne home. First, you'll need to know what caused the mold to grow in the first place, so that the process doesn't repeat. 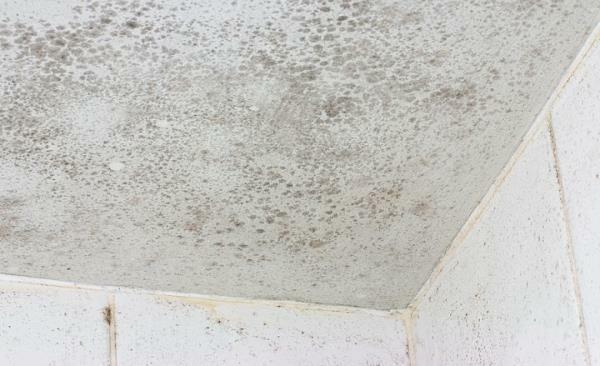 Most often, mold growth is precipitated by water damage and prolonged moisture. Mold thrives in a warm, moist environment. Often there was water damage that was not resolved. Next, you'll need to determine the extent of the damage. Removing some but not all of the mold spores will slow growth, but not eliminate the mold. Proper equipment must be used to limit exposure. In general, gloves, masks and goggles should be used. Affected floor boards and sections of drywall should be removed, then the area scrubbed with an antimicrobial agent. The areas should then be thoroughly dried. Commercial air movers dry the area very quickly. Last, the damaged floor boards and walls will need to be repaired. If this process seems daunting, Jersey Pro Restoration LLC can help. We've been in the Wayne mold remediation business for over 6 years. We know mold and how to eliminate it! Give us a call at (973) 291-1321 for a quick, fair quote. Established as a mold removal expert since 2013, you can rest assured that Jersey Pro Restoration LLC will completely eradicate your mold problem. If you have mold in your Wayne home, we've got the solution. Our process for mold removal is simple and complete.